Learn how to setup your LinkedIn profile for the first time. In this step-by-step tutorial, you will understand how to navigate through the setup options in your LinkedIn account editing section. In this how-to guide you’ll learn how to create a personal LinkedIn profile that attracts recruiters and builds your online reputation. 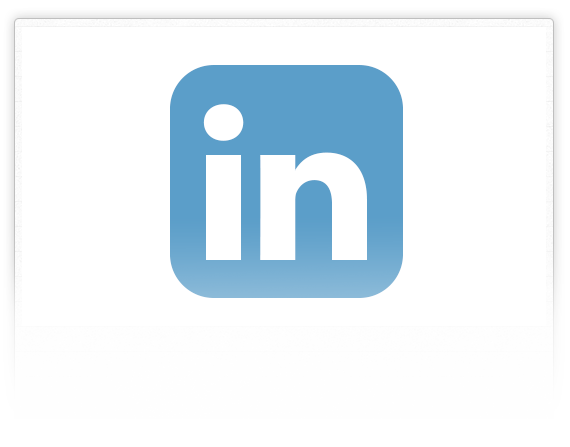 LinkedIn is a professional social networking site used to extend, leverage, strengthen and discover professional connections. LinkedIn is valuable in many ways, including helping people find a job, personal branding, and talking to recruiters.The platform is open to professionals of all ages and in all industries. Your career search journey can be an exciting time. And there are many things you can learn along the way, such as how to make professional connections and when’s the best time to send your resume to employers online. But, in today’s competitive job market, relying solely on your resume and cover letter to make an impression is no longer the best option. One of the first steps on the road to success in your career search is getting your name and reputation in front of the people who matter. And what better professional platform to do this on than LinkedIn? Since you’ve already made the decision to set up your first LinkedIn profile, let’s briefly focus on the benefits of having a LinkedIn profile. On many levels, LinkedIn is regarded as the most effective professional network for people looking to build their professional brand. Another plus is that LinkedIn profiles rank considerably high on Google SERPs (Search Engine Results Pages), so it’s only right that the content on your profile accurately represents who you are as a professional. We’ll start with the set up process. The “Figures” will help keep you on track with setting up your first LinkedIn profile. First thing first, you need to head over to the LinkedIn homepage to get started. To do this, you will need to type “https://www.linkedin.com” in your address bar (Figure 1.1). Next, you will need to fill out the fields directly under “Get Started – It’s Free” on the LinkedIn homepage (Figure 1.2). The information you enter must be true and accurate, as stated in LinkedIn’s User Agreement (https://www.linkedin.com/legal/user-agreement). Click the “Join Now” button after inputting your information. You will be redirected to a new screen where you will need to input more information about yourself (Figure 1.3). Remember, complete these fields with information that is true and accurate and select “Create My Profile” when you are done. Confirming your Email Address: You have the option to “Skip This Step” or to select “Continue” and log into your email and invite some of your contacts to join you on LinkedIn. This decision is up to you. The final stage of this confirmation will require you to log into your email and click on the custom link that was sent to you by LinkedIn. Sharing your Profile: After you confirm your email, LinkedIn lets you share your profile on Facebook and Twitter and lets you create a custom message to inform your friends and followers that you’ve created your first LinkedIn account. You have the option to either “Skip This Step” or share your profile with others. You are encouraged to share your profile as a way of grabbing the attention of others who are also on LinkedIn within your other social networks. Selecting a Basic or Premium Account: As you may have guessed, a Basic LinkedIn account is free and provided to all members to get started. A Premium account is the paid option and offers you more features and tools to grow your professional brand, expand your reach, and get in front of the people who matter. You always have the option to upgrade, so if you feel the Basic plan suits you best for now move forward with this option. Once you have successfully completed all of Phase 1, you will redirected to your ’empty’ LinkedIn profile. I say empty because it will only reflect the information you added to the “Getting Started” form from Phase 1. At this point, you will begin constructing your LinkedIn profile by adding things such as your Education, Skills, and other details. For this phase, however, we will focus on adding your photo and headline to your first LinkedIn profile. As of now, your LinkedIn profile should look similar to Figure 2.1. The arrows indicate the areas we will be focusing on in this phase. 1. Click the “Edit” button located directly under your name and industry information on your profile. 2. In the right-hand column, click on the tab labeled “Photo” (directly under the “Education” tab). 3. Click on “Choose File” and select a photo from your computer to add to your profile. *IMPORTANT: Remember, your LinkedIn photo will be the image recruiters and other users see when they view your profile directly or as an option in the site’s search result. For this reason, and the sake of your professional image, you want to make sure your profile photo is clear and allows others to identify you easily. The ideal profile photo is a professional headshot. The Headline of your first LinkedIn profile plays an integral part in how recruiters, headhunters, and other users judge your worth. It’s harsh, but true. Why? Because your LinkedIn profile is your professional story and your LinkedIn Headline is the intro. In other words: YOUR LINKEDIN HEADLINE IS YOUR VALUE PROPOSITION. This value proposition will determine whether people who visit your page will keep reading or hit the back button. *IMPORTANT: The objective of your Headline is to move beyond your job title and bring attention to your strengths and skills. You want to make your Headline as compelling as possible in 120 characters or less. A great LinkedIn Headline will grab the attention of the people you want to see your profile, such as recruiters. A weak or blank Headline will do the exact opposite. If you’ve followed along up until this point, you’re ready to add content to the other areas of your profile (i.e. – Education, Skills, Publications) to make it complete. This process will be fairly easy if you already have an up-to-date resume in which you can mirror your profile. If you do not already have a resume, you will need to map out the content for your first LinkedIn profile. I’m not going to go over this phase in detail, but I will offer a few tips for getting content together to add to your first LinkedIn profile. 1. Put together a detailed summary about who you are and what you have to offer. Viewers of your profile are interested in your skills and strengths because it helps them determine how connecting with you will benefit both you and them. Update your summary as often as needed. 2. Write down all of your previous employment positions. Filter the ‘best’ positions from this list by determining which jobs contribute to your transferable skill set and directly relate to the industry you are in now. It is better to have a short list of relevant employment positions than a long employment history that is general and doesn’t contribute to your professional goals or profile. 3. Choose a custom LinkedIn URL that will help users identify you from other users with the same name. 4. Add the organizations you are a part of as a way of finding others who you might already know and to make valuable connections with users who share similar interests, strengths, industries and skills. 5. Ask for recommendations from your connections who have experience with working with you. Recommendations play a big role in building your professional reputation and is a key form of social validation. Alright ladies and gents, so aside from taking time to create your first LinkedIn profile, you need to go a step further and start leveraging the power of this professional network. There are several ways you can stay active on your LinkedIn profile, including sharing links, becoming a member in LinkedIn groups, and commenting on your connections’ statuses. Remember, your LinkedIn profile will play a vital role in your career search. And everyone wants to succeed in their career search. Need Help With your LinkedIn Setup?